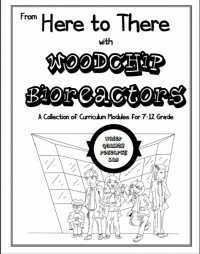 The curriculum outlines activities to create lab-sized mini-bioreactors and introduce students to scientific methods as they monitor water quality flowing into and out of the cells, which are filled with woodchips or other materials to support denitrifying microbial activity. Exercises also teach math and statistics for charting and comparing results. Lab-based lessons complement other activities, such as analysis of current news about water quality and development of presentations that scientists need to give in their careers. The curriculum was developed by Michelle Soupir, associate professor of agricultural and biosystems engineering, working with Eric Hall of Hallscience, an educational consultant from Ankeny, Iowa. Funding was provided by the Iowa Nutrient Research Center at Iowa State University. The curriculum is free for teachers to download at OER Commons, an open-source educational resource. Teachers from Des Moines and Gilbert have already used the curriculum and reported that it enhanced application of the content and improved student learning. “This is the kind of positive opportunity that can come of partnerships between K-12 teachers and Iowa State faculty, which can invigorate teaching and improve student experiences,” said Hall.